I am so very very very pleased to announce that The Billfold’s first-ever BOOK, Frugal and the Beast and Other Financial Fairy Tales, is officially released! If you pre-ordered a Kindle copy, it will arrive on your Kindle at midnight tonight (an appropriate fairy-tale time). If you order a Kindle copy today, it will also arrive at midnight. After midnight, all Kindle copies ordered will arrive immediately. If you order the paperback, it will arrive two days from now (if you’ve got Prime) or some undetermined number of days from now (if you don’t). The Kindle version is priced at $5.99 and the paperback is priced at $10.99, but pick whichever you prefer — The Billfold earns roughly the same royalty either way. If you’d like a sample of what to expect, here are the financial fairy tales that have previously run on The Billfold. 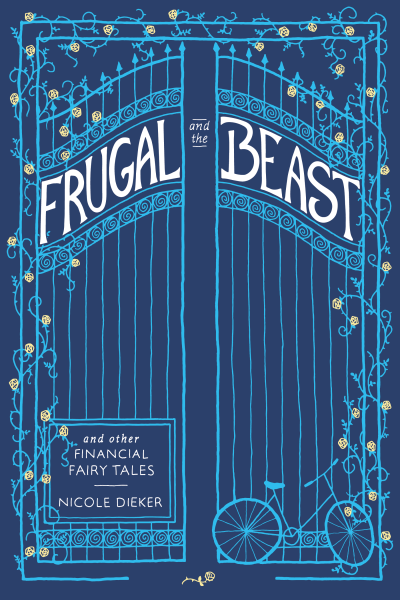 Frugal and the Beast includes these stories plus seven new ones (another good fairy-tale number). If you’d like that link again, here it is: Frugal and the Beast. This is the part where I’d thank you for all of your support during the publication process, except I did that in the book, so… you’ll have to get a copy to see what it says.